In my spare time (when I’m not a professional programmer), I am a hobbyist programmer. I mostly play around building Mac and iOS apps but I also tend to dive into PHP or Ruby or whatever else strikes my fancy. Since this is my hobby, I rarely finish them to the point that they’re fit for sharing. But, when I do, I’ll post them here. The source code for many of my projects is available in my mercurial repository. Shashti is a password generator for the Mac. It attempts to create passwords which humans can memorize without too much difficulty. 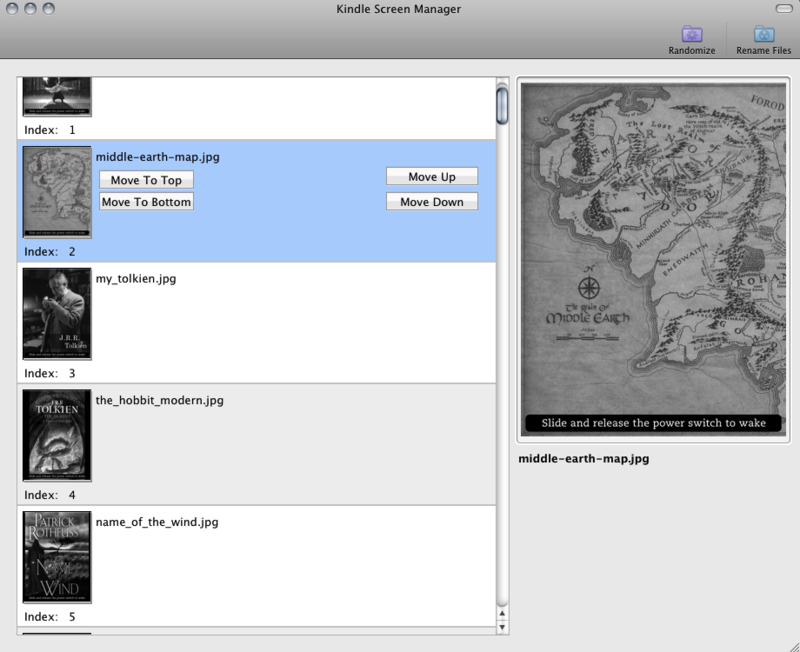 Since Kindle screensavers aren’t really supported by Amazon (they have to be enabled by a hack), there’s no good interface for dealing with them. They end up as a bunch of folders in a directory on the device and are displayed in alphabetical order. To change the display order, you have to change the names. I wrote a small Mac app to make that a little easier. Have you ever forgotten your phone or iPod with all of your podcasts on it? And did you then find yourself using a computer that you didn’t control to the point of downloading MP3 files to? You don’t have to live in silence! Podcaster is a very quick and dirty HTML5 web-app that loads podcasts and lets you play them right in your web browser. And by “quick and dirty”, I mean it. There are no nice features like position syncing or knowing which episodes are played. It just reads in an RSS feed and lets you play the podcast files that are in it. I hope you find it useful in your hour of need.